Quvenzhané Wallis is not even 10 yet and she’s already made a splash on the Oscars’ red carpet. The 9-year-old rising star is the youngest actress nominated in Oscar history. 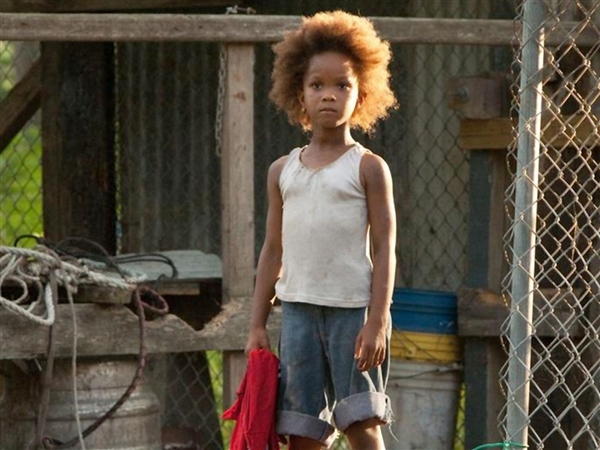 She is nominated for Best Actress for her performance in “Beasts of the Southern Wild.” Heavy-hitters running alongside the young starlet for the award are Jessica Chastain (“Zero Dark Thirty”), Jennifer Lawrence (“Silver Linings Playbook”), Emmanuelle Riva (“Amour”) and Naomi Watts (“The Impossible”). Wallis walked the red carpet with her parents in a blue gown and petite snap-clasp, dog-shaped purse. “I have Snickers, Milky Ways and more chocolate in my purse,” she explained in a sweet voice. She then sang a short chorus from the motion picture “Annie” before heading inside the Dolby Theatre to attend the 84th annual Academy Awards. Wallis is set to play the role of golden child Annie in an adaption produced by Jada Pinkett-Smith and Jay-Z premiering during the 2014 holiday season.